In Stargate: Atlantis, Season 1, Episode 8 "Underground," Major Shepard's team meet the Genii. This marks the first appearance of Colm Meaney (Chief O'Brien on Star Trek: TNG) as Cowen, leader of the Genii. Near the end of the episode, Cowen orders his men from hiding to surround Major Shepard and his team. As one of those soldiers moves into place, we get a pretty tight close-up. I swear it's Patrick Stewart. However, I can't find anything from IMDB, Stargate's wiki, or other internet sources to confirm this. 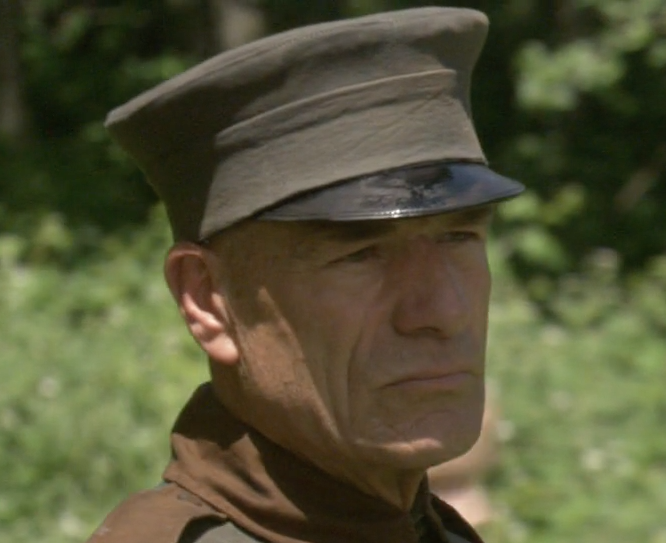 Was that Patrick Stewart, or just a guy who looks like Patrick Stewart? This badly ripped video from youtube is all I could find to provide a link for, but pausing on my DVD gives a clear picture, and I swear it's him. I reviewed my blu-ray copies and can say that the answer is no. Please see this attached, HD screen grab. Perhaps the low res version could pass, but not in glorious high definition! No, Patrick Stewart had never been on any Star Gate series to date. Not only would it have been widely publicized, but it would have been a waste of a great actor to have him as a non-speaking blink and you'll miss it background character role. No matter how many Star Trek connections SGA had.